“A Celebration” was a non-album single released between October and War. 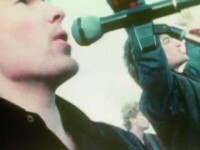 The video uses the studio recorded version of the song. The video was directed by Meiert Avis, and features Bono and the band running around Kilmainham Gaol in Dublin. 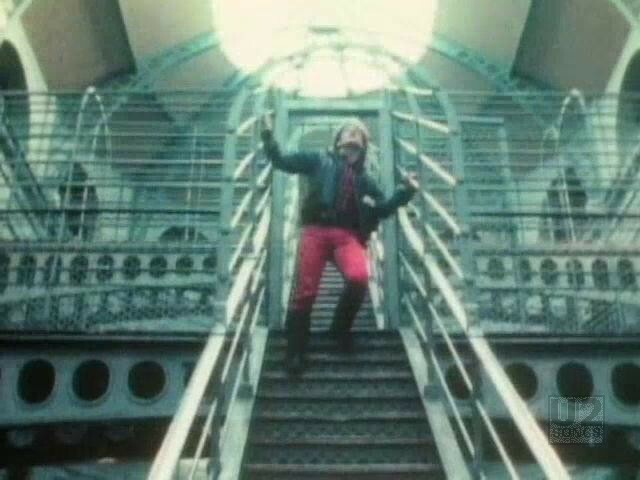 Bono is dressed in bright red pants, running through the jail, and dancing on the stairs. There are some special effects of a door exploding into light, when Larry and Adam burst through. 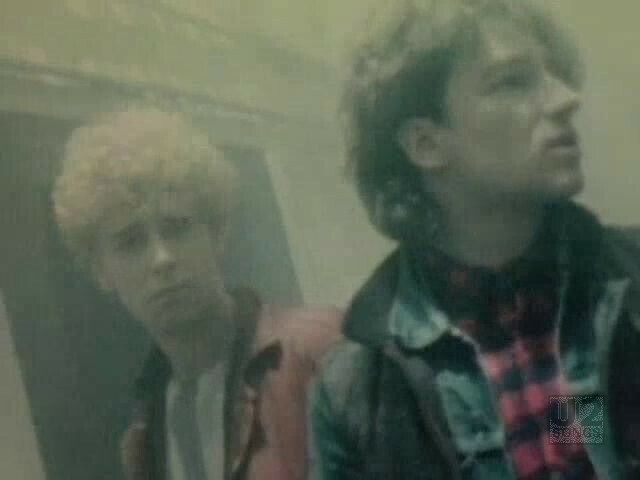 And at times the band wanders through smoke filled corridors. A group of five “guards” are filmed doing the “shake shake” lyric. The band then comes together to perform in one of the rooms of the prison, and the video is inter cut with video of buildings being demolished, and kids riding on horses, while U2’s performance moves to an outdoor smoke filled venue – U2’s idea of a performance in a post-apocalyptic future? 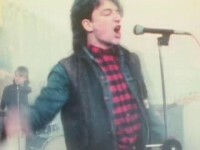 The single was released in March 1982, and the video was filmed around the same time. Larry Mullen discussed filming the video, “We went to this prison in Dublin, where the 1916 uprising took place, called Kilmainham Jail, and filmed it with the idea of breaking out. It was very much a look at ourselves. Like when we were in school and everyone was telling us ‘you’re crap’ and we couldn’t get a record deal it was the triumph of breaking through.” The video was filmed by director Meiert Avis, who had worked with the band on previous videos. The The jail as Larry mentioned has a lot of history, and would later on in life serve as the filming location for the movie “In the Name of the Father”. The jail itself was decommissioned as a prison in 1924, and now acts mostly as a museum, and guided tours are possible. The prison is located on Dublin on Inchicore Road, which has another U2 connection – Inchicore was an early nickname for The Edge. The video had never been issued on any commercial U2 release but can now be seen as part of one of the bonus programs included with 2011’s “Achtung Baby” reissue in the Super or Uber configurations. "U2 - “A Celebration” Commercial Single"
"U2 - “A Celebration” Promotional Release"